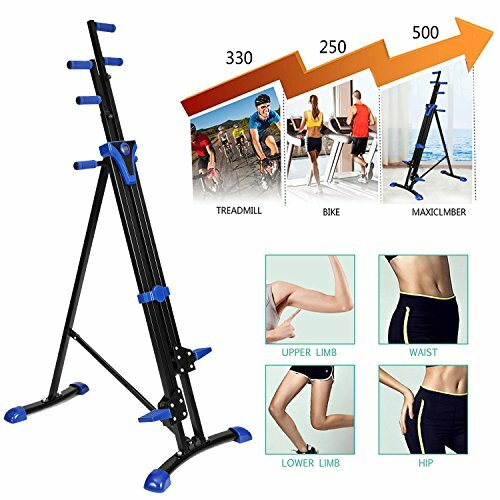 【FULL BODY WORKOUT】 Perfect for a high intensity cardio session, or a slow burn muscle workout, The Anfan Vertical Climber targets legs, shoulders, hips, glutes, and your body's core. 【JUST FOR YOU】 When compared to treadmills and stationary bikes, the Anfan Climber helps you burn more calories. Climbing the Kemanner Climber for an hour will burn an average of 500 calories with Kemanner Climber, you get a full body workout that combines weight resistance, muscle toning, and aerobic exercise in one simple step, all in the comfort of your home. Lightweight & durable. If you have any questions about this product by Kemanner, contact us by completing and submitting the form below. If you are looking for a specif part number, please include it with your message.